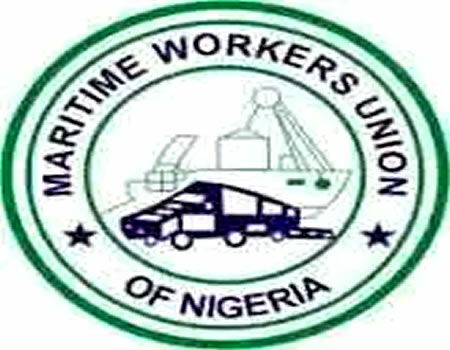 The Federal Government has summoned the leadership of Maritime Workers Union of Nigeria (MWUN) to an emergency meeting, to negotiate with the workers over their planned industrial action. 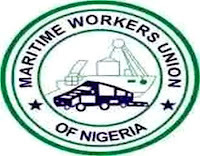 The meeting, called at the instance of the Minister of Labour and Employment, will be held at the conference room of the Ministry in Abuja with other stakeholders in the maritime industry in attendance. Also, the Federal Ministry of Works will be at the meeting, which is intended to resolve the issues raised by the union in its 7-day ultimatum given to the government on the access roads to Nigerian ports, especially the Lagos access road. The union had in a statement signed by its President-General, Comrade Adewale Adeyanju, threatened to commence an industrial action yesterday (Monday), after the expiration of its ultimatum. Comrade Adeyanju said: “We waited and endured very harrowing experiences on the access roads to the Ports in Lagos, Port Harcourt, Calabar and Warri, hoping upon hopes that the government will at least, do a quick fix on the roads to make them motorable. “The roads have completely deteriorated and in addition, have claimed several lives and properties. In fact, we lost two of our members on the Oshodi-Apapa Dual Carriage Way. The Oshodi-Apapa Dual Carriage Way has completely failed and unmotorable. From Berger Bridge, there are countless craters and potholes on the road. “To worsen the already terrible situation, from Otto Wharf, the road have become parks and mechanic workshops for heavy duty trucks parked and abandoned by drivers and owners in the last few months. People now defecate, sleep, cook wash clothes, bathe and do whatever they like on the road. “Today, only few vessels now berth at our seaports as most ship owners and businessmen prefer our neighbouring ports especially Cotonou. While our neighbouring ports are booming, our ports have been deserted because of the failed access roads to the ports, the gateway to the nation’s economy. “Last week we took an assessment tour of the road and to our dismay, the Apapa axis of the road said to be under reconstruction by a consortium of private individuals, which we understand that NPA has paid the substantial part of N270million pledge it made on the reconstruction of the road, is at a stand still. “We are afraid that if things continue like this, it will lead to retrenchment of workers among others, we cannot afford to lose any of our members to joblessness. “Consequently, we have no other option than to reactivate our suspended ultimatum and issue a seven day notice to the Federal Government to remove all the trucks on Oshodi-Apapa Dual Carriage Way, and fill the craters and potholes on the access roads to all the ports to make the roads motorable.